Study Guides and Strategies - This site provides a wide variety of guides including 'Learning with ADHD,' 'Effective Study Habits,' 'Public Speaking,' 'Anticipating Test Content,' 'Spelling Strategies,' 'Solving Math Word Problems,' and much, much more! The Brain Connection - This is an informative and fun website that provides information about how the brain works. 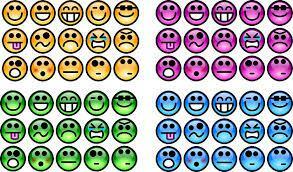 They not only provide information about a variety of topics which effect learning (ADHD, mood disorders, motivations, etc. ), but they also brain teasers & brain games for kids. Reluctant Young Readers Book Ideas - This website provides lists of titles along with a short description of books aimed specifically for teens who dislike to read. They also provide tips on how to encourage your child to read. Good Study Habits for Middle School Students – Provides a variety of resources specifically for middle school students including time management, getting organized, and using a planner. It also includes a Learning Styles Quiz which may give insight into how your student learns best. 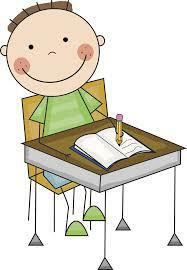 Algebra Homework Help - provides help by free math tutors. Click on the 'lessons' portion of a topic to view tutorials for the topic chosen. Kansas Children's Service League - Various resources including several tipcards for parents and/or youth on a variety of issues. KCSL also provides a Parent Helpline, which is a free statewide, anonymous information and referral service. You may call and speak with a trained person who will offer support to help you through difficult situations. The Helpline is available 24 hours a day, 7 days a week in English and Spanish. You may call the Parent Helpline at 1-800-CHILDREN. Rachel Simmons - awesome resource for girls and their parents/guardians! Books That Heal Kids - a blog from a school counselor reviewing books that help address many issues children may have to deal with. Helping Children with Anxiety - If your child’s anxiety is interfering with his/her daily activities this site has resources and tips that may help! Helping Teens with Depression - This article focuses on understanding teen depression, recognizing signs and symptoms, helping a depressed teenager, and more. The website has a variety of articles on other topics as well. Child Pyschology & Parenting Blog - Has great research-based information on a variety of issues including childhood disorders and parenting! Helping Kids through a Divorce - This article has some great tips and reminders for helping a child cope with divorce. Resources on Grief/Loss – This site has many articles about grief including how to support someone who is grieving. Kansas Suicide Prevention - This site offers immediate assistance if you or someone you care about is having suicidal thoughts. National Suicide Prevention Lifeline: 1(800) 273-TALK (8255) or text TALK to 741741 to communicate via text with a trained crisis counselor. U.S. Autism & Asperger Association - provides an amazing amount of information on legal issues, research, interventions, and therapies associated with autism spectrum disorders. 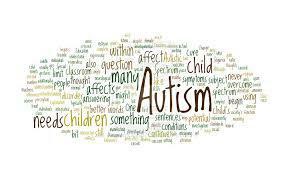 They also provide networking opportunities for parents, professionals, students, and individuals affected by autism. Education Resources & Games for Students with Autism - provides a list of websites with a variety of information, activities, and other resources for families affected by autism spectrum disorders.